Here at Harley of Bellingham, we’re crazy about motorbikes. There’s not a single member of the team who doesn’t own at least one, and we all ride them to work. We know that we’re in the minority however, and that most people prefer vehicles with four wheels. The fact is though that the vast majority of motorists won’t even have considered the possibility of choosing a motorbike over a car, and therefore will be oblivious to any potential benefits. Hopefully we can enlighten the average four-wheel driver about some definite advantages to riding a motorcycle, and enable them to make a more educated choice when it comes to buying a vehicle. We’ve made a list of our top five advantages to driving on two wheels rather than four. Motorbike services are actually significantly cheaper on average than most car services. This can save you money every year and in addition there tends to be less things that can go wrong with a motorcycle than a car. Ever had trouble overtaking a lorry on the M6 in your second hand Fiat Punto? The accelerator is flat on the floor but still you’re struggling to gain speed? Well you certainly won’t have that problem in a motorcycle! We’ve all been there, in what seems to be a never ending line of traffic. There’s nothing you can do –nowhere to turn around and no means to speed things up….unless you have a bike! 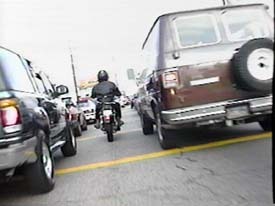 Motorbikes can breeze through lines of traffic as if they don’t exist. Ok so this one could be classed as a matter of opinion, but you’ll never know until you try one! And almost anybody who has owned a motorbike will tell you that they deliver an enthralling driving experience like no other vehicle. You can really feel the full power of the engine. 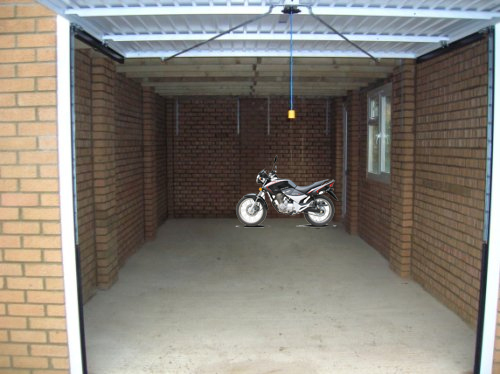 Think of all the space that your car takes up inside your garage, and how much you could save by having a motorcycle instead. It would be like a whole new room inside your house!